A look at the requirements, features, certification, levels of containment, safe work practices and procedures for biosafety cabinets and laminar flow hoods. BIOSAFETY CABINET PROGRAM This document outlines the methods by which Environmental Health and Safety will implement the California State Polytechnic University, Pomona Biosafety Cabinet Program for certification, inspection, maintenance and relocation of Biosafety Cabinets as recommended by the Centers for Disease Control (CDC), National Institute of Health (NIH), and the US Department of Health and Human Services (HHS). Biological Safety Cabinets (BSCs) are primary barriers used to prevent exposure to or contamination of biohazardous or infectious agents. A BSC surrounds the immediate area where work is being done, but it does not assure that some aerosols may not escape. CLASSIFICATIONS There are four classes of BSCs: Class I, Class II-Type A, Class II-Type B, and Class III. All four classes are suitable for work with biohazardous materials in BSL 1 to BSL 3. The Class III BSC is required for BSL 4 work. The following provides a brief overview of the types of BSCs available for use in laboratories. See Appendix A for guidelines on how to select the appropriate BSC. A more thorough explanation for usage and maintenance can be found at the NIH website: http://www.niehs.nih.gov/odhsb/biosafe/bsc/bsc.htm. Class II The Class II BSC is a front opening cabinet with inward air flow to protect personnel, the work, and for environmental protection. These are more commonly referred to as laminar air flow hoods. There are two types of Class II BSCs, A and B, that differ principally as to vertical dimensions of the front opening, proportion of air recirculated, velocity of inflow air, manner of exhaust discharge, and whether contaminated air plenums are under positive pressure. Due to the high percentage of air recirculation, Type A BSCs are restricted to work with BSL level 1 to 3 agents in the absence of volatile or toxic chemicals and radionuclides. The type B cabinets allow work with toxic chemicals and radionuclides. The type B BSCs are further sub-typed to types B1, B2, and B3. Class III The Class III BSC has enclosed ventilated cabinets which offer the highest degree of personnel and environmental protection. In addition, the experiment is protected because manipulations of cultures are performed through attached rubber gloves. The Class III BSC can be compromised by punctures of the gloves or the use of highly volatile materials that contribute to the decline of the negative pressure barrier. Flammable gas shall not be piped to these units. Laminar Flow Hoods Laminar flow clean benches are not BSCs. They discharge HEPA-filtered air across the work surface and toward the user. This type of engineering control only protects the product. They can be used in dust-free assembly of activities for items such as electronics and sterile equipment. These benches shall never be used when handling cell cultures or infectious agents. SCHEDULING The respective department and/or college is responsible for contracting the services of an authorized certification company, preparing an annual certification schedule, and forwarding the schedule to lab managers and PIs as well as maintaining copies for inspection purposes. A copy shall be sent to the Biosafety Specialist in Environmental Health and Safety. COSTS The department and/or college assume the responsibility for the annual certification cost for biosafety cabinets/laminar flow hoods. Individual departments are responsible for any costs associated with replacement parts or any other corrective actions required to bring the cabinet/hood up to standard. Departments are also responsible for certification costs resulting from relocating cabinets, replacement of filters or any other repairs/maintenance operations requiring recertification beyond the annual scheduled certification. Note that departments and/or colleges may choose to charge these services to the PI’s research grants if applicable. CERTIFICATES The certification contractor is responsible for posting certification documents on the outside of each cabinet after completion of certification, and submitting written certification reports to the department and/or college the day of each certification. The department and/or college shall maintain certification reports on file for 3 years and a copy shall be sent to the Biosafety Specialist in Environmental Health and Safety within 15 days of certification. INSPECTIONS Biosafety cabinets and laminar flow hoods are inspected during lab safety inspections to assure certification documents are posted and current. BSCs must be clearly labeled with the class and type, the date of the last performance test, the name of the person performing the test, the company name, and a certification of performance. All personnel working with BSCs shall be appropriately trained in the use of the cabinets to assure proper handling. Departments are responsible for performing routine safety inspections (Department Safety Coordinator Inspections) which shall also include looking at BSCs for obvious violations, signs of malfunction, needs for repair etc. ASSISTANCE To schedule repairs/maintenance, the lab manager /PI shall contact the respective department and/or college. The department and/or college are responsible for obtaining and submitting quotes of the required work for approval. Certain repairs/maintenance will require recertification of the equipment. INSTALLATION, RELOCATION, OR REMOVAL Prior to the relocation or removal of a BSC, the PI and department coordinator or lab technician shall ensure that the BSC has been decontaminated as per accepted work practices and SOP through EHS. Upon installation of a new BSC, the Biosafety Specialist in Environmental Health and Safety shall be notified with the location, date, number of units, manufacturer, model number, and serial number via e-mail. No EHS approval is required. o Try to limit arm motions and quick, rapid movements inside the cabinet. These motions may cause a disturbance in the air flow pattern letting aerosols escape and causing possible exposure. o Do not use a Bunsen burner inside the BSC as this will interfere with the air flow inside the BSC. If a procedure calls for the use of a flame, use a burner with a pilot light and place it to the rear of the work space where any type of air turbulence will have a minimal effect. o Do not place large objects such as a centrifuge inside the BSC. It may impede the air flow. o If an accident occurs during a procedure, immediately clean the area with appropriate disinfectant solution and dispose of the used clean-up materials properly. Leave the BSC on during this time to minimize exposure to aerosols. o It is important to remember that a BSC is not the same as a chemical fume hood and shall not be used for both purposes. o Once the work is completed, secure waste containers and organize materials used. o Allow the cabinet to operate for five more minutes to finish purging the air inside. o Remove all materials from inside the cabinet, decontaminate the work surface, and turn on the UV light. o When cleaning/decontaminating the BSC, the work surface, interior walls, and the interior surface of the window shall be wiped with 70% ethanol o Apply proper sterilization/disinfection techniques. The UV light does provide for some sterilization of the environment when work is finished, but it shall not be used alone to assume that sterilization is complete. o When not in use the BSC shall not be used for storage of materials. WASTE MANAGEMENT HEPA filters are used in biosafety cabinets, laminar flow hoods, and other air handling equipment to provide clean work environments. When a HEPA filter is changed, proper disposal of the used filter is always a concern. HEPA filters may only filter room air. In these cases, the filters may contain only normal particulates found in the air. These filters are typically not viewed as being contaminated and may be disposed as non-regulated waste. BIOLOGICAL HEPA filters used for biohazard work are considered to be contaminated with whatever biological agents are used in the biosafety cabinet. OSHA Blood-borne Pathogen Standard states that equipment which may be contaminated with blood or other potentially infectious materials shall be decontaminated as necessary. Formaldehyde gas contamination is the commonly accepted method for neutralizing biological hazards in a Class II biosafety cabinet. Most HEPA filters that have been decontaminated with formaldehyde are viewed as non-hazardous and are disposed as non-regulated waste. Some biological agents are resistant to formaldehyde treatment and may need special handling. CHEMICAL HEPA filters used in biological cabinets for chemo (anti-tumor) drug preparation pose a chemical hazard. Characteristics of chemo drugs which could be hazardous are genotoxicity, carcinogencity, teratogenicity, and toxic manifestation. Chemo drugs can pose a variety of acute and chronic occupational exposure hazards. 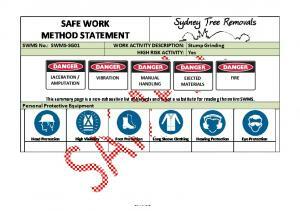 The current document is published in OSHA Technical Manual, Section VI, Chapter 2. When a HEPA filter is changed in a biosafety cabinet used for chemo drugs, the old filter is considered as hazardous drug waste. It shall be bagged in plastic, labeled, and disposed as solid hazardous drug waste. Disposal of hazardous drug waste can be regulated by the EPA, state, and local waste laws depending on the drug used. Contact EH&S for proper disposal. RADIOACTIVE Radioactive solutions used in biosafety cabinets could give off vapors which would pose a Beta and even Gamma radiation hazard. Since a HEPA filter does not provide any protection against vapors, it is expected that the radiation vapors will exit the biosafety cabinet and the building through the ventilation system. Prior to accessing and changing a HEPA filter, Environmental Health and Safety shall be notified to allow the Radiation Officer to assess and document that the biosafety cabinet is free of radiation hazards. The HEPA filter would be decontaminated as biological or chemical waste, prior to removal and disposed of as non-hazardous waste unless otherwise regulated. If HEPA filters do contain radioactive waste, the Radiation Safety Officer shall advise on proper procedures. I II (A1, A2, B1, B2) III II- with suit *Note: Due to laboratory restrictions and specialized needs, Biosafety Levels 3 and 4 (BSL 3-4) are currently not supported at Cal Poly Pomona. Biosafety Levels 1 and 2 (BSL 1-2) are supported. velocity and plenums are under negative pressure to room; exhaust air can be ducted outside through canopy. III N/A Supply air is HEPA filtered. Exhaust Yes Yes* passes through two HEPA filters in series and exhausted to outside via a hard connection. * Only small or minute amounts. ^ When exhausted to outdoors. ҂ Linear Feet Per Minute (lfpm) 1. Installation may require a special duct to the outside, an in-line charcoal filter, and a spark proof (explosion proof) motor and other electrical components in the cabinet. Discharge of a Class I or Class II, Type A2 cabinet into a room shall not occur if volatile chemicals are used. 2. In no instance shall the chemical concentration approach the lower explosion limits (LEL) of any compound being used. Report "Biosafety Cabinet Program Safe Work Practices"